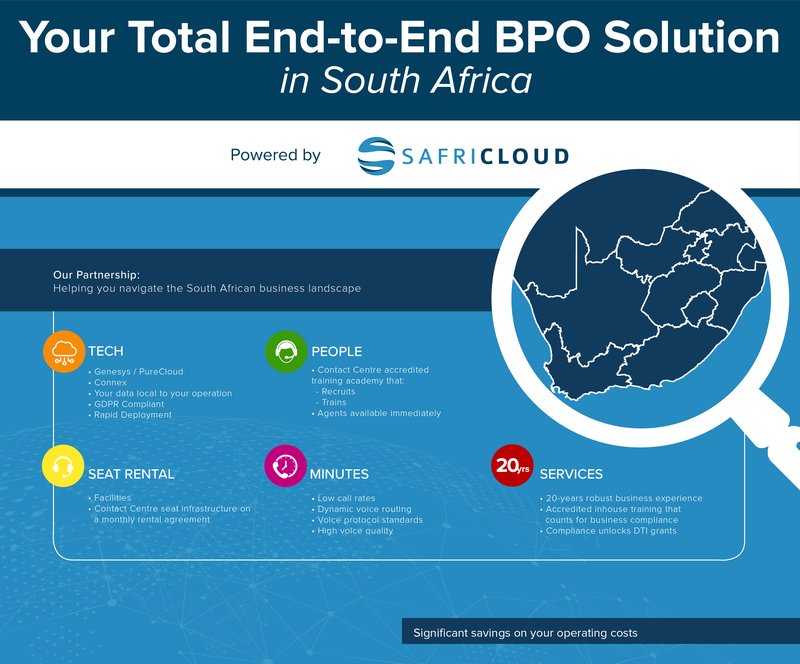 Choosing South Africa as your BPO destination and SafriCloud as your set-up partner could result in significant savings on your monthly operating costs. With more than 20 years experience, we provide customised technology solutions set-up in fully resourced contact centres including trained agents. If you want to know more, visit SafriCloud at the South African Pavilion at OSX to experience our Total End-to-End BPO Solution.